The #1 veterinarian-recommended liver support brand. 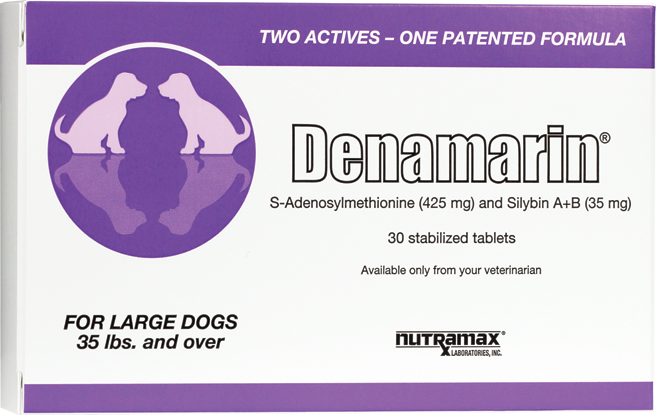 Denamarin® is the number one veterinarian recommended liver support brand for both dogs and cats. A patented formula made with two active ingredients, S-Adenosylmethionine (SAMe) and silybin, which work together to help protect liver cells. SAMe has been found to increase liver levels of glutathione, an important compound for liver health. Silybin is an active part of an extract from milk thistle, known as silymarin, and has been shown to support liver function by helping to maintain a healthy oxidative balance. While Denamarin® is best known for supporting the liver, it also helps support brain health. Research has shown that aging dogs have a decrease in levels of S-Adenosylmethionine (SAMe) in cerebrospinal fluid, which surrounds the brain. 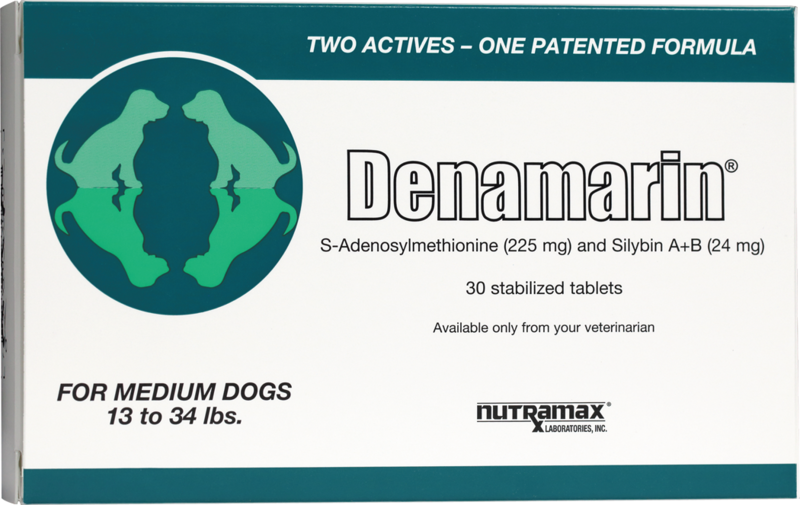 Denamarin® provides SAMe in a stabilized form to assist with brain health and act as a neuroprotector. The silybin also supports the oxidative balance in the brain. For optimal absorption, tablets should be given on an empty stomach, at least one hour before feeding. 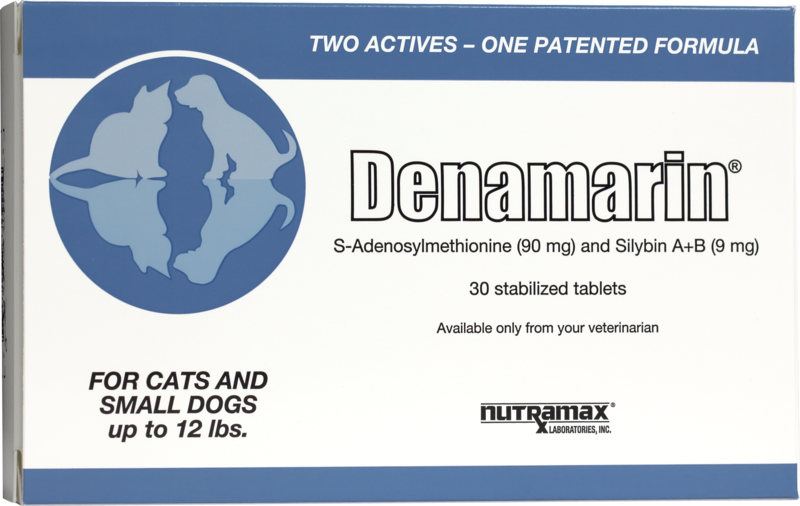 For those owners who have difficulty administering tablets to their pets, Denamarin may be disguised in a small bite of food. Encourage drinking water immediately following any dosage to improve absorption. If giving more than one dosage daily, divide given tablets between morning and evening meals.